On Tuesday 25th April 2017 a football tournament come to an end which has been opened for the students of engineering faculty, under the name (Yes For Referendum And Independency). 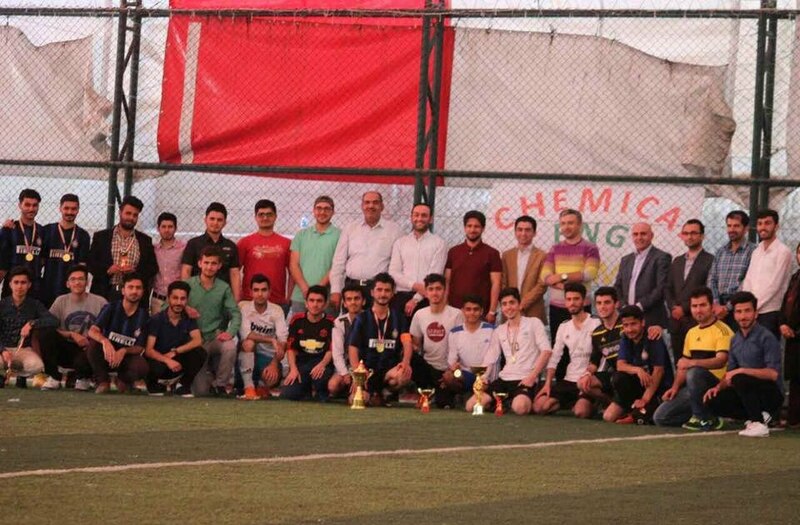 The last match the students of chemistry department stage one, won the game playing with second stage of same department. Finally the students of both teams has been praised and awarded. 1. Dean of faculty: - Dr. Bangin Masiho Audl. 2. The student Blind Shwan Hussein, who organized the event. 3. Mr. Safin, referee of the tournament. 4. Photographer Dana, second year student of chemistry department.